I am very excited to share these Origami models I folded over the course of last year. What do you guys think of them? 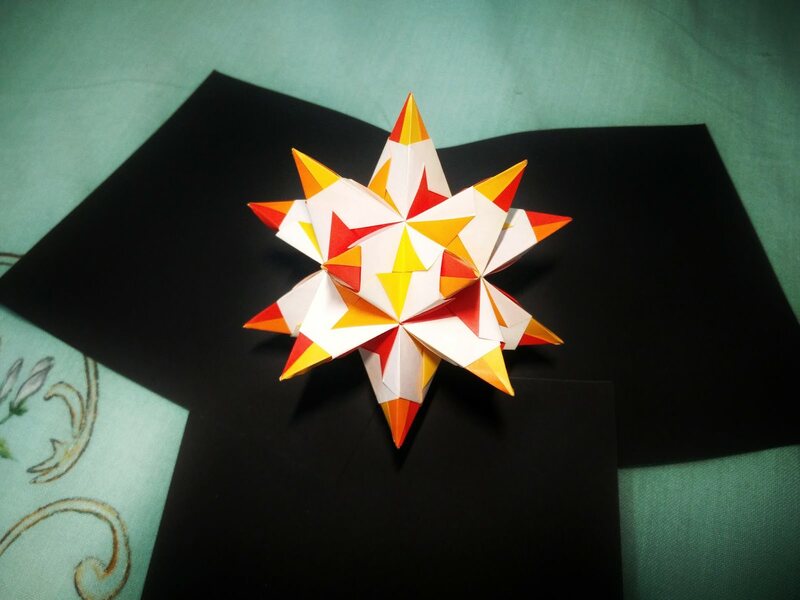 I have been into Origami for quite some time now. And my personal favorite are modular models that require more than one square of paper but get assembled without using glue or scissors. Is anyone else over here an Origami enthusiast? I wouldn't call myself an enthusiast, since I only make cranes, but I enjoy the meditative quality of it, zoning out as I rely on muscle memory formed 15 years ago. I've never tried a design with more than one piece of paper; it looks very intricate! Modular designs might look complex, but they're often very simple. Individual units are relatively easy to fold, and the assembly is the tricky part. But once you get the hang of it, there's nothing quite like it. You have wonderful, well-folded origami. I am pretty jealous actually. I picked up one of those origami calendars last year and I was really good about doing one everyday up until about November due to frustration with the more complex folds. YouTube has been my guide when it comes to Origami. And although I have accumulated a few books too which have come handy, nothing beats YouTube with its sheer scope and variety of tutorials. I'll suggest looking into simple modular models as they leave you in the zen state while you fold units. Maybe try Japanese Brocade or a modular cube. You'll find tutorials to all of these on YouTube. And if you need any help, feel free to message me! Thanks for the tips. I can’t believe I never thought to just use YouTube as a resource... I’ll try out a Japanese Brocade, maybe if I am impressed enough with it I’ll share a pic of the finished product. A few of my favorite channels are Happyfolding by Sara Adams Jo Nakashima Tadashi Mori I'll look forward to and hope you like the brocade! I'll look forward to and hope you like the brocade! OMG! These are beautiful! I enjoy origami, but I haven't practiced enough to have those nice crisp corners. I like the fractally ones. Have you done any giant origami? 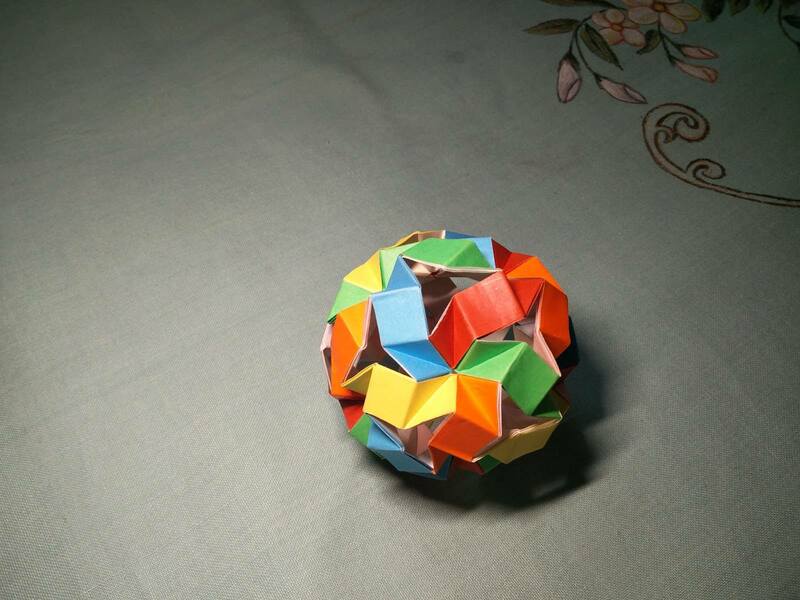 I have made a few models from 50x50cm, but that's the largest I've gotten. The green leaf is one such model. These are really cool~ The yellow spiral reminds me of a nautilus. Thank you! I'm discovering this place and I really love the simplicity and sincerety of the discussion here. These are super neat! Origami feels like something I would probably be good at if I sat down with it. I'm really attentive to detail and tiny things. :) I love the one that moves! Thank you so much! 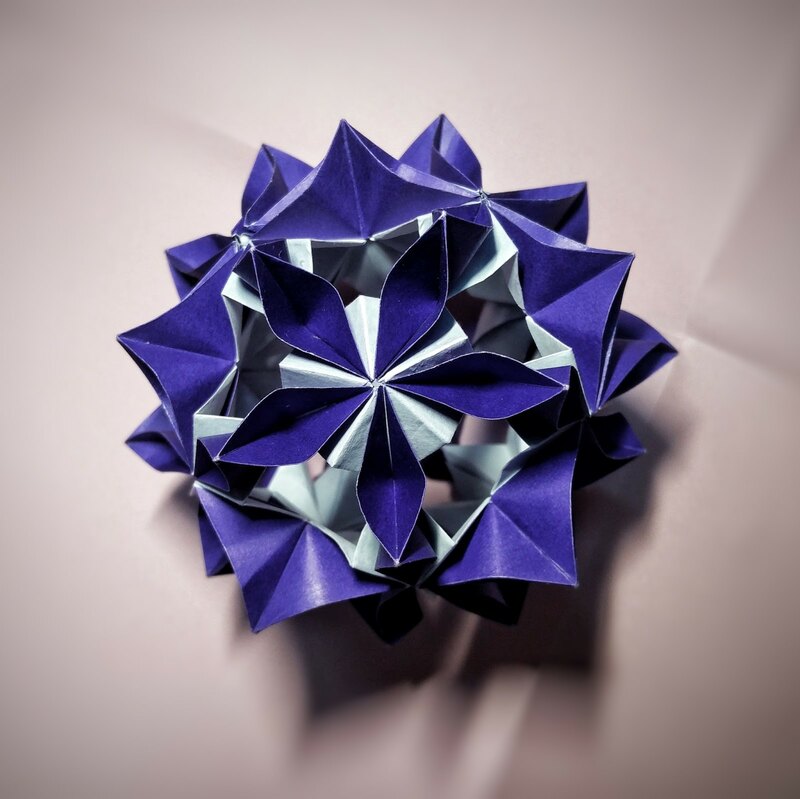 If you feel like it, you should definitely check out some modular Origami tutorials on YouTube. From really simple to really complex models, I'm sure you'll find something that matches your skill level. These are amazing! One question, do you use normal printing paper or is there special origami paper? I tried origami before with normal paper, but it's super hard to get sharp creases after a few folds. 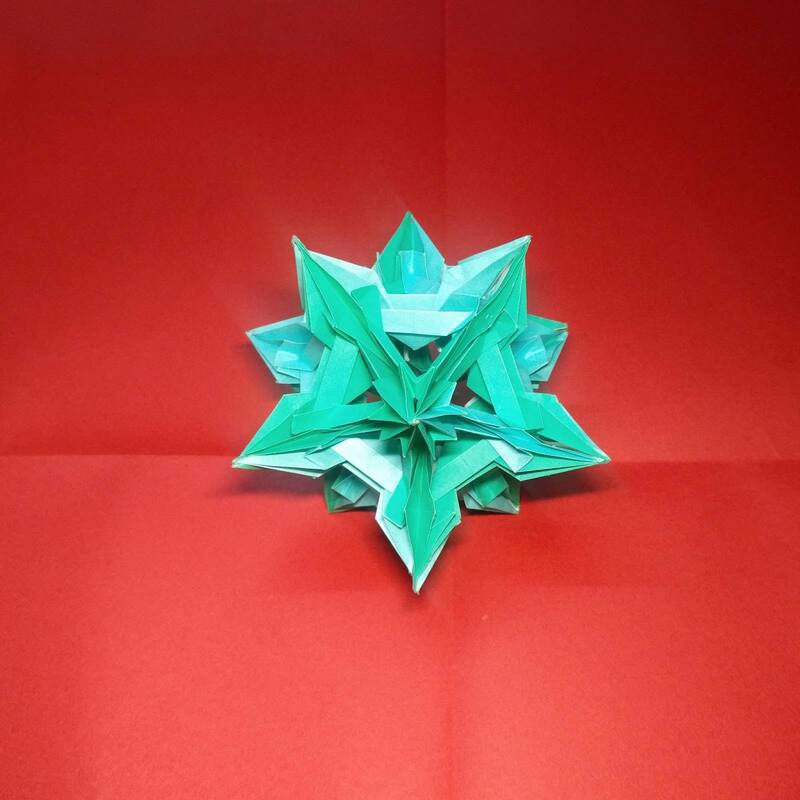 I use regular origami paper called Kami. It is about 60gsm while regular printer paper is 80gsm I think. Kami is extremely cheap and you can get it at any local stationery shop or Amazon. Love these! <3 https://i.imgur.com/ygxXJyM.jpg https://i.imgur.com/Hqa97lp.jpg https://i.imgur.com/UXE0NTs.jpg https://i.imgur.com/kIn3Dwk.jpg keep it up! Thank you so much! You linked to some of my personal favorite models. I especially loved folding the first 2. At first, I was kind of unimpressed. Then, I took a closer look and saw how detailed and well folded everything was. Good work! I love them, great choice of color and showing of skill. My personal favorite is the potted plant.